Maybe this is normal to you, if you live in London, but to me, I ADORED this. 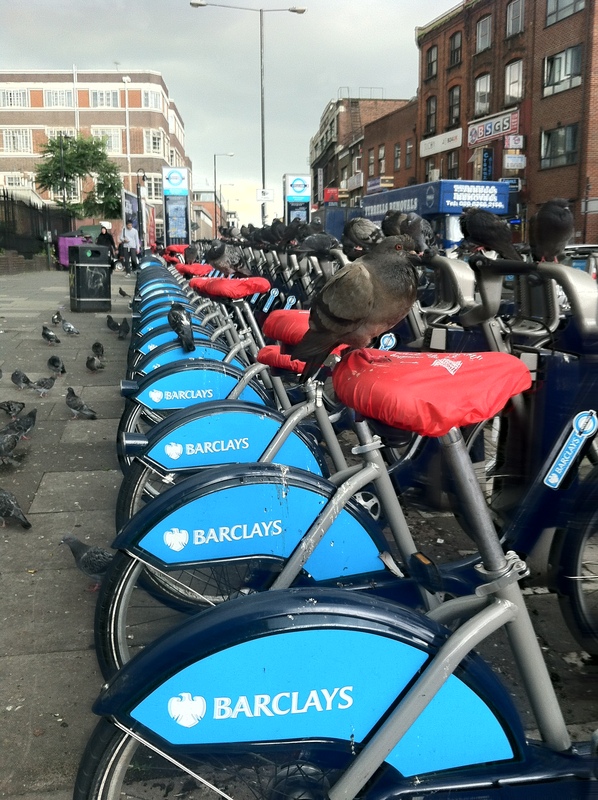 I’ve been using the ‘Barclays Bikes’ to cycle to work each day. Well today, while I was in work, it rained. And when I got outside again to cycle home, all the bikes had little seat covers on them so the seats were still dry for you to cycle home! I loved it, and thought it was such a nice idea! The pigeons made it a lesser experience though..